Compare prices from several car hire companies in Granada and find the best price for car rental. Our prices always include unlimited mileage and insurance. 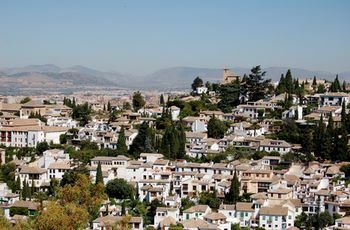 Granada is situated in a lush area in the foothills of the Sierra Nevada. The city belongs to the region of Andalusia and is located about an hour from the Spanish south coast and the Mediterranean. In 2007, there were over 230 000 inhabitants of Granada. Granada is a popular town because of its proximity to the Mediterranean and the surrounding mountains that offers good ski lifts. The most famous landmark in the city is the Alhambra, built by the Moors in 1200 – and 1300’s and 1500’s were built in a palace. Of museums can include visiting art museums and many historic buildings, including the Alhambra, also offers a museum. Federico García Lorca Granada – Jaén Airport is the name of the airport which is approx. 15 km outside the city.